The secret is revealed… Kind of. 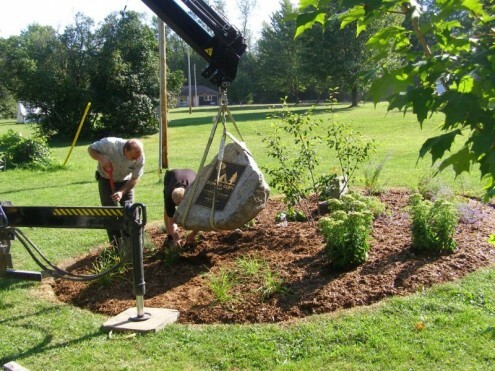 As a follow up to my post, “I know where you can get Girl Guide cookies this summer,” this picture shows them carefully installing the Bonita Glen plaque I designed to honour my grandmother and great grandmother who were instrumental in establishing the Girl Guides of Canada and helping make it the success it is today. The official unveiling is less than a week away: Sunday, August 25, 2013 from 11:00 a.m. to 3:00 p.m. Dedication at 1:30 p.m. So excited!! !